Visit St Catherine village and the UNESCU listed world heritage site of St Catherine monastery. Climb Mount Sinai, where Moses received the ten commandments. St Catherine monastery is the oldest constantly inhabited Christian monastery in the world, with a traceable history of seventeen centuries. The monastery hosts what is considered the burning bush, a library with manuscrips and early printed books and Greek Orthodox monastery icons. Mount Sinai is also known as the Moses Mountain, towering just behind the monastery with its 2285m summit. The mountain is considered a point of pilgrimage to Christians, Jews and Muslims alike, and appreciated for its scenery by outdoor people and mountain lovers. A trip to Mount Sinai and St Catherine monastery can be done at night, with an overnight stay on the summit and gorgeous sunrise views of the Sinai landscape. The following morning you will have the chance to visit the monastery, then climb the mountain and enjoy sunset on the summit if you like. We also recommend a visit to local Bedouin women in St Catherine village to see their traditional embroideries. 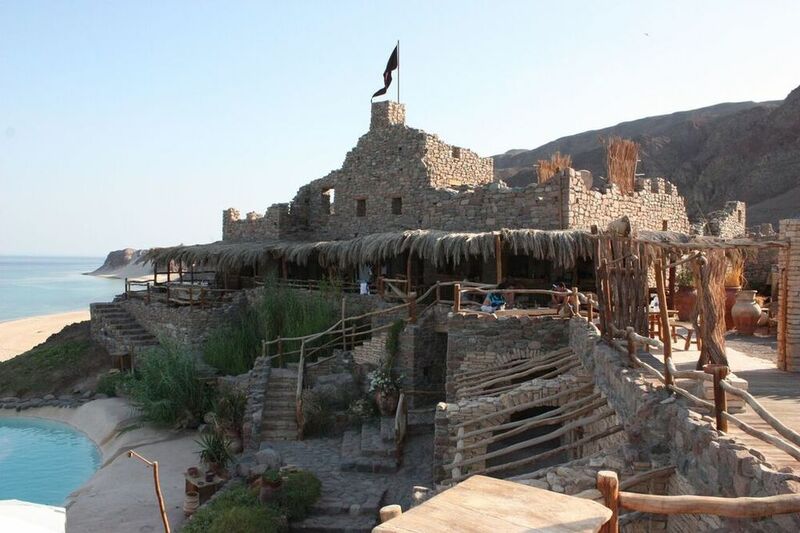 Located only an hour drive from Dahab, Castle Zaman has a wonderful relaxing atmosphere, hosts rustic spa facilities and the only slow food restaurant in the region. After a beautiful coastal drive through the Sinai landscape, you will spend the day in the unique surroundings of Castle Zaman. With sauna, swimming pool, cocktail bar, pool table, Wi-Fi and treasure dungeon, the castle deserves a full day to revitalize and relax. Using ancient Egyptian recipes, meat is roasted to perfection with an assortment of fresh vegetables, spices, dates and figs. Cutlery is optional and finger licking is allowed. Accompanied with rice, 'Molokai' and salads. A tenderly prepared assortment of locally sourced fish, octopus, calamari, crab and shrimp, served on one large platter. Served with fragrant spiced wheat germ and fresh salads. A generous portion of perch fillet roasted and served on a bed of wheat germ and salad. Other dishes available. Day use with access to bar and facilities is also available. Visit the ancient city of Petra on a daytrip or overnight trip from Dahab - or combine your stay with a visit to Wadi Rum or the Dead Sea. 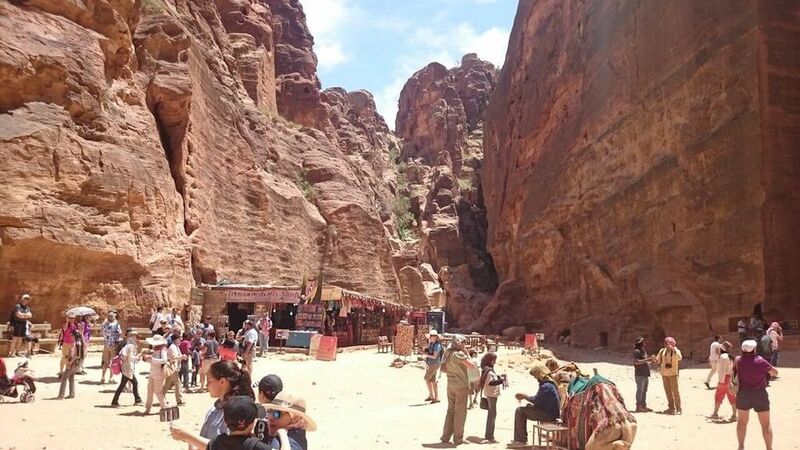 After an early morning departure from Dahab you will visit the wonders of Petra for a half day guided tour. The site of Petra is large and incredibly fascinating. If you wish to further explore Petra, we recommend an overnight trip with a half day guided tour on the first day followed by a full day to discover the site on your own. Combine your visit to Petra with an overnight stay in Wadi Rum. Camp in the Jordanian desert, enjoy a jeep safari and meet the Jordanian Bedouin. A trip to Petra can also be combined with a visit to the Dead Sea. Float effortlessly in the salty waters. The 100% natural Dead Sea spa is the experience of a lifetime. All trips include all transfers, ferry between Egypt and Jordan, Jordan visa and departure tax. Please note that a new visa for Egypt upon return is not included. Spend the day on the beach and let mountain views, sunshine and golden sand embrace you. Take a dip and a snorkel in the Red Sea - Dahab's natural aquarium. The sandy beach of Laguna is located only a 30 minutes’ walk or 10 minutes taxi ride from Sheikh Ali Dahab Resort. We are happy to prepare a picnic basket for you and make the arrangements for a memorable day on the beach. With the incredible Red Sea reef just off the shore, Dahab offers a range of sites suitable for snorkeling. Napoleon reef extends from the tip of Laguna, so take mask/snorkel with you to the beach. For easy access and a convenient location, the Lighthouse and El Gardenareas are a great choice. For beautiful coral reefs on a windy day, Three Pools and Morey Garden & Caves offer a sheltered location. And for a breathtaking underwater landscape you will find no better place than the world famous Blue Hole. Beach towels are available by the pool at Sheikh Ali Dahab Resort, and you can hire snorkeling gear from our on-site dive center. Enjoy! 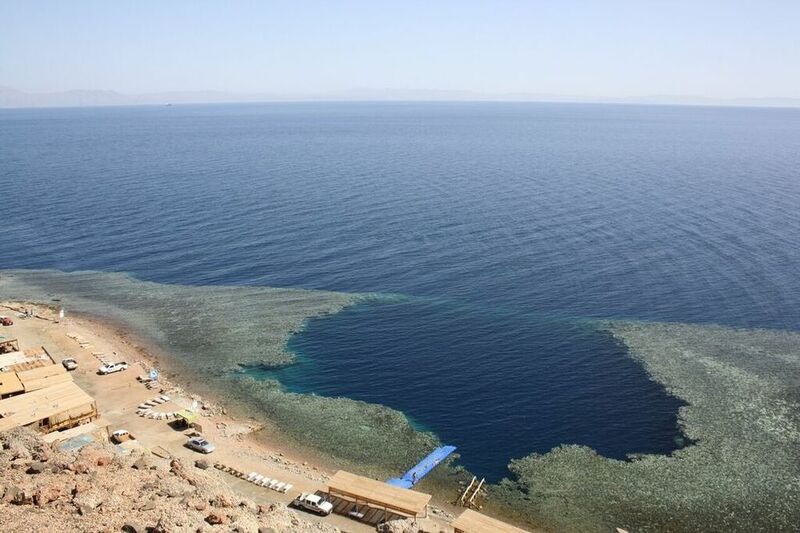 With the world-famous Blue Hole and annual competitions, Dahab is a center for international freediving. Experience the depth of the sea with only one breath! We offer the full range of free diving courses, according to AIDA International free diving organization. The training takes place in Lighthouse, Blue Hole or a purpose built solar heated pool. A one day introduction to free diving with emphasis physiological side of breathing and the effect of depth and pressure. A two and a half day course designed to give you a full outline of free diving. After a final exam and performance test, you will gain your Aida 2 Star qualification. A three day course building on the Aida 2 Star qualification to further your free diving skills. An intensive nine day course which when successfully completed makes you qualified to run your own 1 Star, 2 Star and 3 Star Aida courses. With two lagoons and steady wind more than 260 days a year, Dahab is a well-known and increasingly popular holiday spot for kite- and windsurfers. The Gulf of Aqaba is famous for the tunnel effect creating its strong and consistent winds. Learn to surf or improve your technique in Dahab's Laguna with our RYA certified instructor. Or get out to the Blue Lagoon for a combined surfing and Bedouin life experience in the Sinai. Introduction To Windsurfing 1 hour lesson. Advanced Course 4 or 10 hours course. Private Lessons For all levels. Transfer to and from Dahab's Laguna is provided. Equipment hire, storage and windsurfing insurance is also available upon request. Improve your yoga skills or try yoga for the first time by joining drop-in or private classes in Dahab. Or you can experience a yoga desert safari in energetic surroundings. Yoga classes based on a blend of different yoga styles are available for all levels. All classes are 90 minutes plus relaxation time. Classes are held in the Eel Garden area and unless you would like to warm up with a 20 minutes’ walk, we will arrange a taxi for you. Private classes are available to practitioners at all levels, for individual attention and a customized program. The silence, atmosphere and energy of the desert support the practice of yoga. It includes six yoga sessions at sunrise and sunset, beautiful walks in the Sinai desert, basic accommodation and vegetarian meals. Many divers and free divers find yoga to be beneficial for their underwater performance. Join a drop in class, book a private one or enquire about specialized programs. Yoga mats, blocks and belts are provided. Drop-in classes follow a weekly schedule, private classes and yoga desert safaris are available upon request. Treat yourself to a massage in the calm surroundings of Sheikh Ali Dahab Resort and emerge completely relaxed, mentally recharged and spiritually aware. The Art of Touch, 'Mass Ha' has been part of Egyptian culture since 2500 BC. Experience treatment for body, mind and soul in our pool side massage room. A full body massage re-balancing your body, softening your skin and letting your thoughts drift away. A full body massage based on classic techniques create a relaxing or therapeutic massage of your choice. A concentrated back, neck and shoulders massage, releasing stress and tension. And a great energy boost too! A full body massage of stretching and deep massage for relaxation of the body and quietening of the mind. A Combination of advanced soft-tissue techniques, organized to address the particular complaints or needs of each individual. A massage that targets a specific area of the feet, to target imbalances in the body, helping to sooth away the buildup of stress and tension. Only, 5 minutes walking from the Hotel, Dr. Adel Ramadan Dental Clinic, is one of the most distinguished and specialized dental clinics in whole Sinai, recognized by its modern equipment, professional services and up-to-date treatment methods. The clinic is appointed as a world-class dental clinic from a dental implant organization in South Korea 2009. Enjoy a wonderful vacation in Dahab and get all your dental problems sorted out at reasonable fees with absolutely zero compromise to quality. For more information about services, prices and dental solutions please visit clinic website.